Today I stepped completely out of my comfort zone to create an extremely natural look. Rather than applying my usual layers of foundation, power and concealer, teamed with contouring and powder highlight, I turned to the likes of liquid products. I usually only wear this Olay CC cream when I’m on a sunny holiday, in the evenings – so it was very strange to wear this to work in the UK! When teamed with the Rimmel ‘Good to Glow’ highlight, the two created an extremely natural appearance, with a little coverage and sheen. With gentle lashes, eyebrows and a thin layer of lipstick, this look was extremely fast to create. This look is gorgeous! 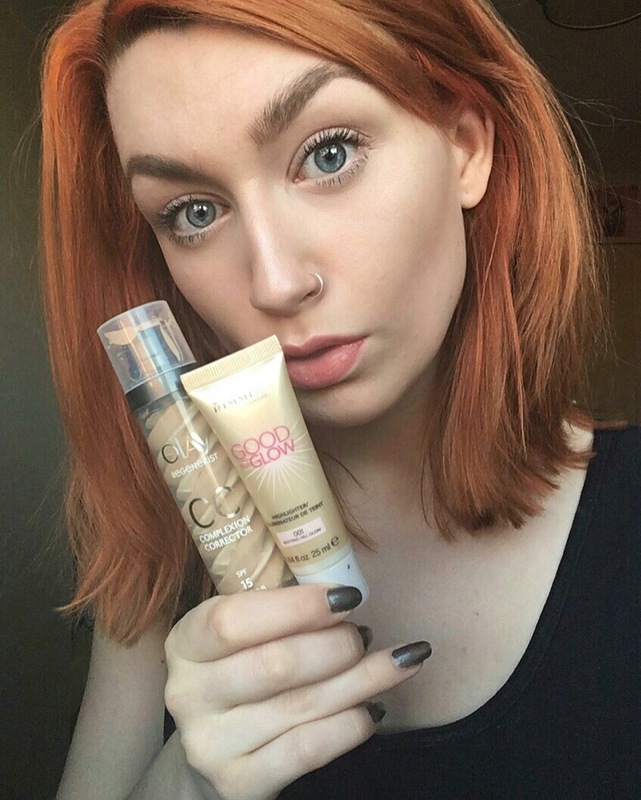 I love the Rimmel ‘Good to Glow’ highlighter, it does such a good job at making my skin glow but still look natural! Love this makeup on you! Stunning!